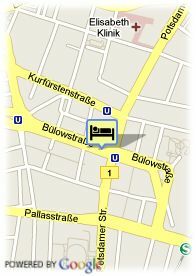 Bülowstrasse, 19-22, 10783 Berlin, Germany. Hotel Agon Aldea is located in a modern building, refurnished in 2001. 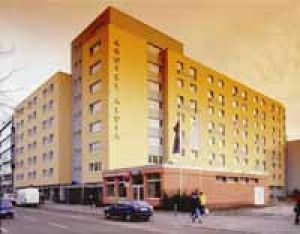 The hotel is centrally located between Potsdamer Platz and the main boulevard Kurfürstendamm and even without a car, you will have outstanding access to the many places of interest. The hotel offers 212 well-equipped rooms with television, phone, hair-dryer, safe and bathroom, restaurant, coffebar and car parking. Near exhibion centre, Near subway / tramstation, Near shopping centre.